You would not believe how hard it was to get the chance to play Varus. Seriously, I haven’t seen a champion get this much love since… Well, since Hecarim, but that’s aside the point! So, I’ve only managed to play Varus in a few games today, but I feel like I’ve got enough material for this thing. I gotta say, this guy is probably the best looking and ‘feeling’ champion since Nautilus. His animations are great, the model is high-quality, and I’ll be damned if Blight Crystal Varus isn’t the coolest skin since Mafia Graves. His auto-attack animation is nice and fluid, without a silly wind-up time like Nautilus or Karthus. But he wouldn’t be worth buying without being fun to play, and thankfully Varus is all kinds of enjoyable. His kit feels ‘right,’ especially his Q. A little tip for that by the way, Varus’s Q is so much easier to play with if you’re using smartcast. I turned it off to experiment in a custom game and doing it ‘normally’ is weird and clunky. Also, I can’t wait until some pros really get the hang of him and start pulling off trick shots around corners and stuff. Another really huge plus about his kit is that it rewards you for playing well. Are you last-hitting minions effectively? Have an attack speed buff! Stacking your blight to full before using abilities? Look, you just took off a huge chunk of that guy’s health with one arrow. Varus rewards good play without being overly punishing if you’re having a hard time (Nasus is a good example of doing the latter bit). You can still do tons of damage without the passive’s bonus or properly using your blight, but your potential DPS and burst grows so much. In terms of building and skill orders, I’ve mostly been using the recommended stuff. However, it feels like Varus’s passive negates any ‘big’ need for stuff that gives a lot of attack speed. Considering he’s also (to some extent) an AD caster, I’ve been trying out Bloodthirster and Maw of Malmortious. It’s worked pretty well, but I can see where some may prefer something with more attack speed. I could see the movespeed from Phantom Dancer being useful as well, because Varus feels incredibly slow. 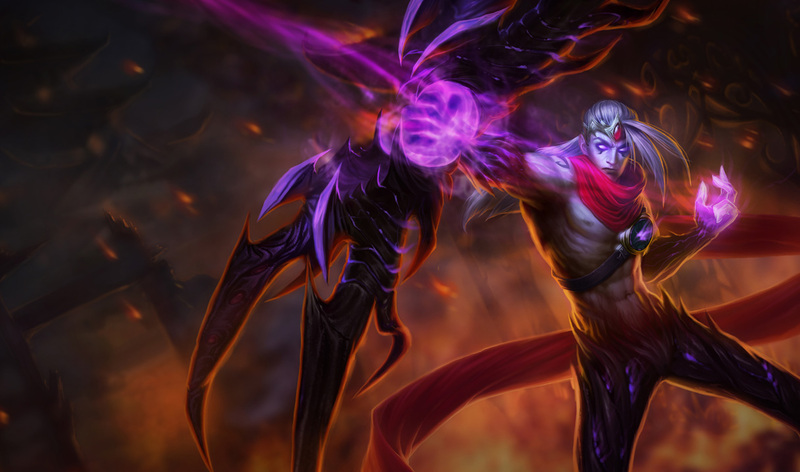 So, while not the most exciting champion they’ve released lately, Varus is still pretty cool. If you’re looking for a ranged carry who can do more than just right-click and hope for the best, give him a shot. The burst potential makes him exciting and fun to play, but he’s definitely not for everyone. When in doubt, wait until free week. Anyhoo, that’s me done for now. Thanks for reading and have a good’un. This entry was posted in League of Legends, Video Games and tagged league of legends new champion, league of legends varus, varus champion impressions, varus first impressions, varus review. Bookmark the permalink.